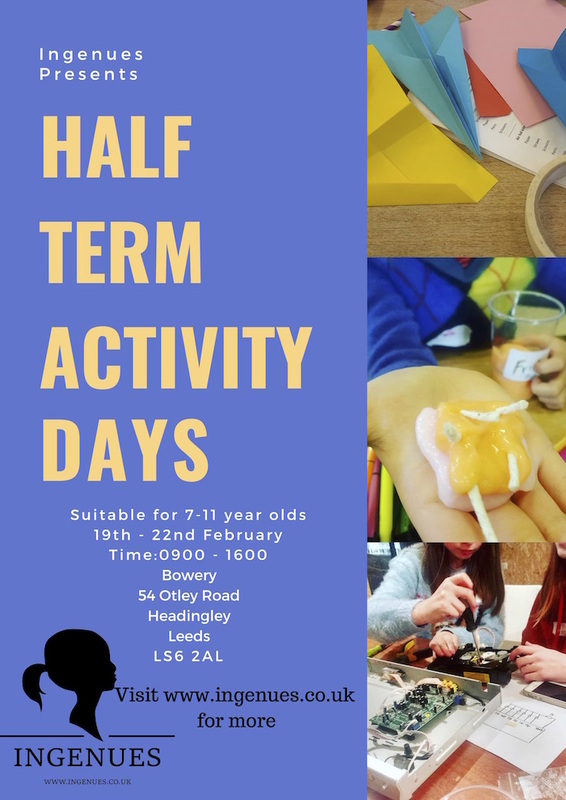 Head over to The Bowery, Leeds for a half term full of inventing, creating and testing for 7-11 year olds. On Tuesday 19th February there is a hands on session all about exciting electronics. During this we will be using a variety of circuits in order to make excellent creations to take home and learn about electronics. On Wednesday 20th February we are looking for children who marvel at mechanics who want to spend a day making and testing their inventions. On Thursday 21st February there is a for a hands on session exploring printmaking, using all sorts of familiar and unfamiliar tools. Finally on Friday 22nd February, we will be wrapping up the week with a workshop for children fascinated by how the body works. In this, we will learn about the senses and make maxillofacial prosthetic casts to take home. All workshops are suitable for children aged between 7-11 years and will take place at The Bowery, 54 Otley Road, Headingley, Leeds, LS6 2AL . Places are £35 each with a 10% sibling discount. Please use the discount code SIBLING when placing your order to redeem this offer.